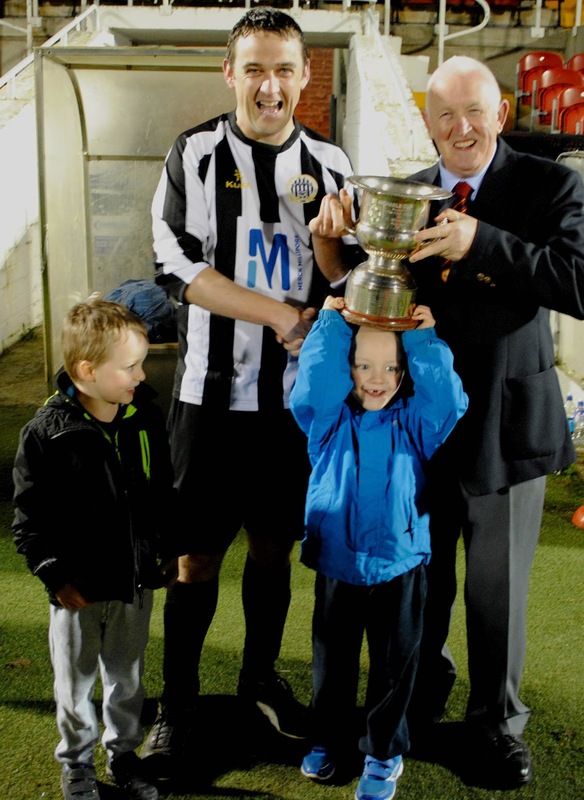 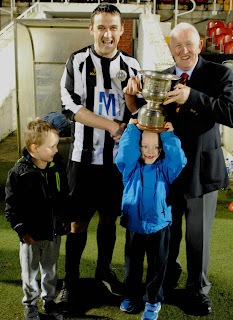 Barry Fitzgerald (Captain of St John Boscos) is presented with the St Michael's Cup by Denis Lyne (Cork AUL) following his side's 4-2 penalty shoot-out win over Buttevant after it was 0-0 over extra time. 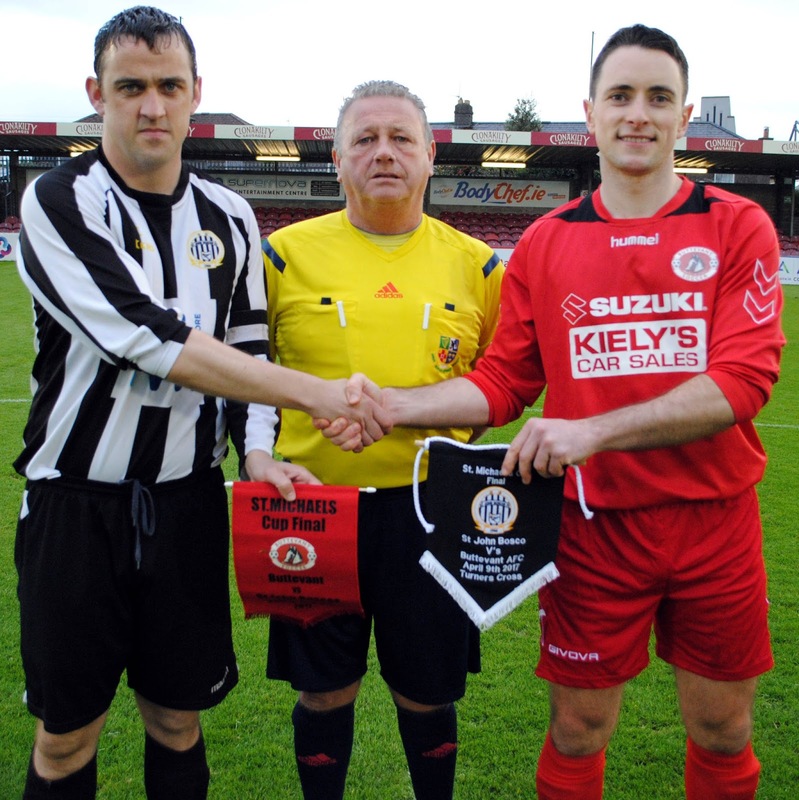 Barry Fitzgerald (Captain of St John Boscos) exchanges pennants with Buttevant's captain Dan O'Connell watched by referee Finbarr Murphy. 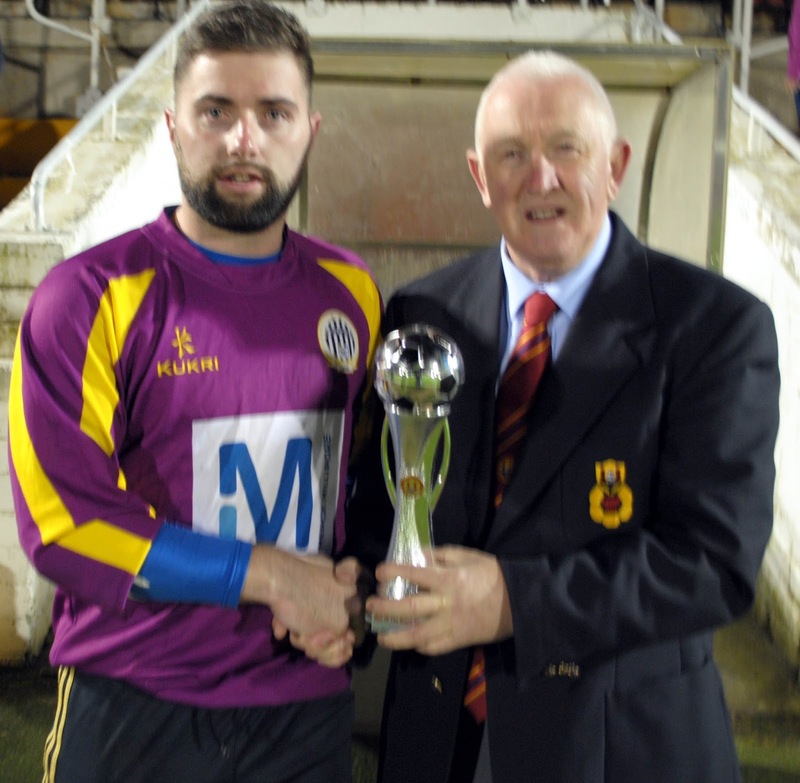 St John Bosco's goalkeeper Ray Savage is presented with the man of the match award (Sponsored by Gary McCarthy Trophies) by Denis Lyne (Cork AUL) after the game. 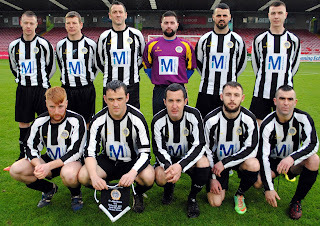 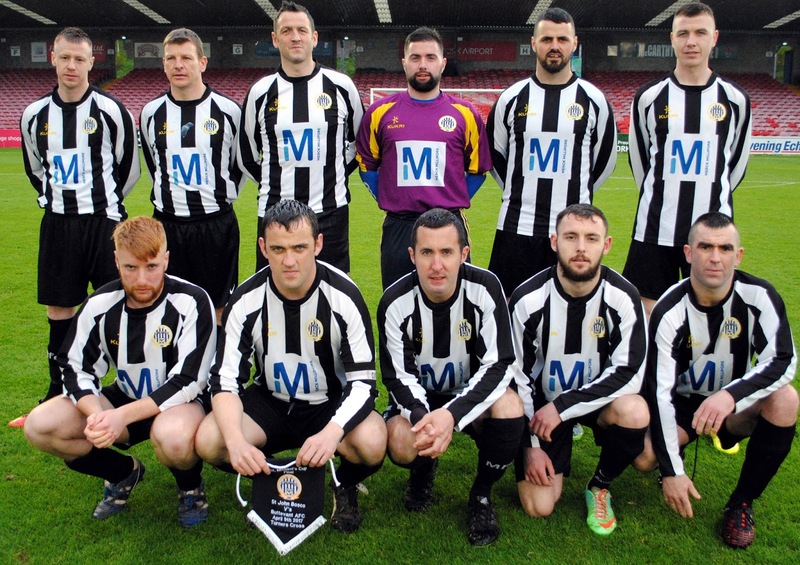 The St John Boscos side that won the St Michael's Cup following a 4-2 penalty shoot out victory against Buttevant after it was 0-0 over extra time at the Cross on Sunday night. On behalf of the Cork AUL, I would like to wish Buttevant's Cathal Sweeney a speedy recovery from his injury sustained in the St Michael's Cup Final at Turner's Cross on Sunday night. Hopefully, we will see Cathal back in action again in the not too distant future.